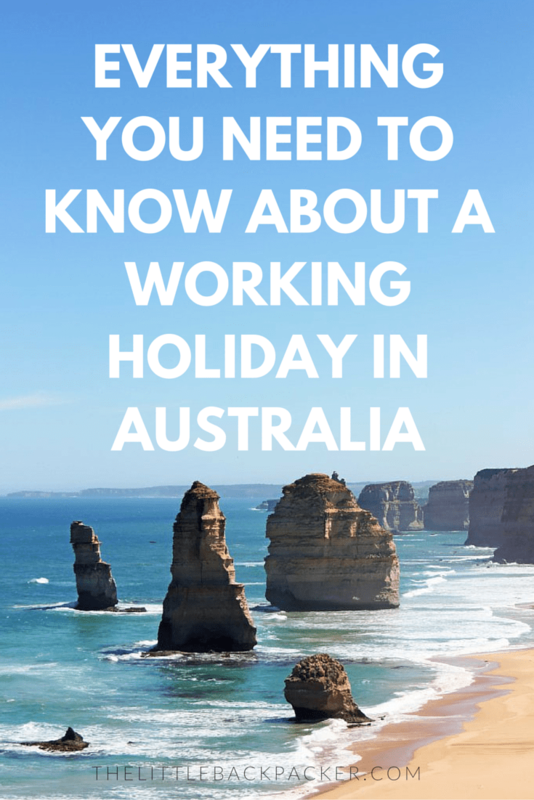 When I first started planning for coming to Australia I spent hours trawling the internet for answers to my silly questions and worries. I could never seem to find all the information in one place or anywhere that gave me concrete information. So now that I have spent six months here and finally feel like I have everything sorted I worried about. I want to share my knowledge with you so you don’t have to waste hours searching like I did. In the end I had STA take care of this for me for £25 however it is possible to do it yourself for free. You have to wait until you enter the country to lodge your application – which is why I had STA do it for me as I was planning to travel when I arrived and unsure when I would stop to work. If you do it yourself you just need to fill out the form online and include an address – this could even be a hostel address, just make sure you inform the hostel you are awaiting important mail. Again STA took care of this for me, depending on how you are heading to Oz will depend if this is sorted out for you – a company like Bunac will include it in their package deal. It cost me a total of £225 to have STA process my visa, the form was very easy and simple and it only took a matter of days to receive my grant back. Obviously I would recommend leaving at least a month before travel to apply! This one is very simple, free and easy with taw.com however STA also over a bank account set up service for £25. 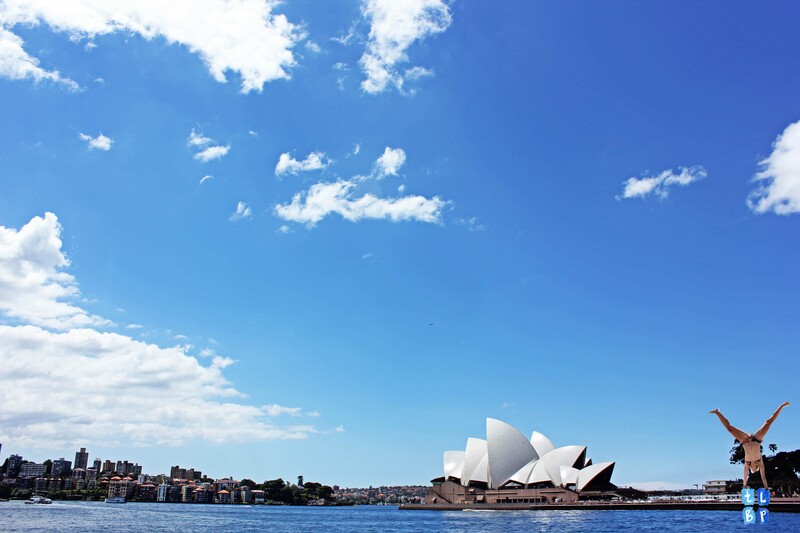 Taw is a great site for travellers to Australia and with their bank account service you just apply in the 4 weeks before arrival or after you arrive – you simply give a few details and select a city you want to pick your bank card up from. Once you have the conformation email you just pop to the branch as advised and it will take around 30 minutes to finalise your account. They use commonwealth bank – I have never had any issues with them! Something which has taken me six months to sort yet now I’m wondering why it took so long when it was so easy. All you have to do is Google where your nearest Medicare centre is – Melbourne it is on Elizabeth and Bourke in the Galleria centre. Head over with your passport and visa grant letter and they will have you set up in minutes. It is even possible to claim for medical expenses incurred before you registered as the card is back dated to your arrival day. Do I need an address to apply for everything? I worried a lot about this, to the point I was researching how to set up an address etc. but in all honesty I didn’t need to worry. There is always a way around it – be it using your hostel address or your new friends address. The only one I didn’t get until I had a permanent address was my medicare card however for two reason this doesn’t matter 1, they will back date your card and you can claim any expenses back and 2, you can ring up for your medicare number so if your card goes astray because of any reason it won’t matter. This is very different in each state, so my facts here are true for Victoria. When applying for jobs I was worried I wasn’t getting trials/interviews because I didn’t have an RSA however your employer has to let you complete it in so there Is no need to stress. I would however say just get it over and done with at the beginning. My friend told me to just Google where to go, but you get so many results show it is often better to ask around among friends or at the hostel – I did mine at Hotel Discovery for $50 and Gary the teacher made it more fun than I could possibly imagine. When I first started looking at jobs in Australia I was worried it would be different to back home but my worries were wrong. Gumtree is probably the best place to look – however be aware of how much on there is a scam of some kind. Seek is a good site for more skilled jobs but of course the old fashioned handing out CVs will always get you much further. Finding a flat is also a lot easier than I worried it would be – again Gumtree is the most useful place to look along with hostel notice boards or just asking around among the people you know. There are a lot of sub lettings in the cities so there won’t be any need to sign a long lease but you will still need the money for the bond and first month’s rent when you move it. Only being here for 6 – 12 months I didn’t want to get myself in to a contract however there are plenty of options on pay as you go which are value for money. I have a ‘pre-paid’ sim and top up $30 each month for which I receive 200 mins, 200 texts, 200 mbs and the $30 to use as credit. This is on Telstra one of the top phone networks along with Vodafone and Yes Optus and when you register your sim it is called Beyond Talk – they do have other beneficial offers too however the simplicity one isn’t. One thing I have ‘been there and done that’ with even know I have three months left in Australia, why? Because I didn’t want to be one of the many people I met that left it until they had exactly 88 days left on their visa. We weren’t concrete about staying the full, second year nor still am – if you aren’t sure you want to do a second year then really have a think before you head off in to the unknown however if you know you are then don’t leave it till 88 days left, plan ahead and check out my top 10 tips for regional work in Australia. I still haven’t fully solved getting tax or super back, however, with the tax year ending in a few months I’m sure all will become clear and when it does I will be sure to let you know. However, if you do know – tips would be great! Hi! Its my first time on your blog but i am sure it will not be the last. On the First of March my Boyfriend and I will be leaving the UK to travel North America and Australia (with a little stop in Fiji in between!) In the last 30 minutes I have gained soooo much information I am amazed! Hey Sam, So glad I could help! Feel free to contact me if you have any more questions 🙂 Have a fantastic trip! For a quick way to start earning very quickly (once you’ve got a bank account), a number of working group holiday makers have taken advantage of being paid to be a mystery guest or mystery shopper as it is often called in Australia. There are a few different companies that contract this service and can offer a range of paying jobs. Worth a look. THANK YOU! Honestly, that was a fantastic summary to the essential points I have been seeing on site after site. I’ve never traveled, let alone lived abroad, and I am nervous to do it wrong.. if that makes any sense. Just new bureaucracy to navigate and the uncertainty of not braking the bank trying to explore a new place. I will definitely bookmark your site for future references! I just wish someone had warned me how fast it would go by!! Hey Alex, All I can remember about Medicare Card is that it entitles you to a discount from doctors appointments and prescriptions. Aside from that I didn’t use it for anything else so am unsure. Thank you for the tips!!! My biggest worry is finding somewhere to live, me and my boyfriend are planning to move to Australia from the UK and I’m just so scared that we’re going to arrive and not be able to afford to rent anywhere!! Would it be ok to get in contact with you and ask a few questions, just to put my mind at ease? I’m really excited, but also nervous to do this! Great post. Just come across your website and I enjoy reading your blog posts! Good to read you also lived in Melbs. I was in Melbourne too and have to say it’s the best. Still planning my return! I guess some other things to consider are having some money before arriving as it took me some weeks to find a job! A good tip is also to join Telstra as it’s the only network which will get some resemblance of signal when you are stuck in the outback if you are road trippin! Check out my blog for more Australian Posts, any feedback would be great as i’m just getting started!